As so many readers of my blog are from the other side of the Pond, I get a lot of questions about the budget hotel brands in the UK. Premier Inn, Travelodge, Ibis, EasyHotel to name but a few. Well over the past few months I have stayed at many of these, and will try to post as many videos / comments as I can. For those that are interested, here’s a video of a standard room at the Ibis London Euston St Pancras. I think Accor’s budget brand Ibis gets some unfair press – yes it’s budget, but this hotel is easily a 3 star hotel, with pleasant service, clean rooms, and even a decent size for London hotels! Coupled with being in a prime location in central London, I’d recommend it every time. Remember, I try to load as many videos of hotels I visit on the Hotel Insight You Tube channel (click here) so keep an eye out for them – I also comment a lot through my Twitter account on my travels (I don’t always stay budget either!). 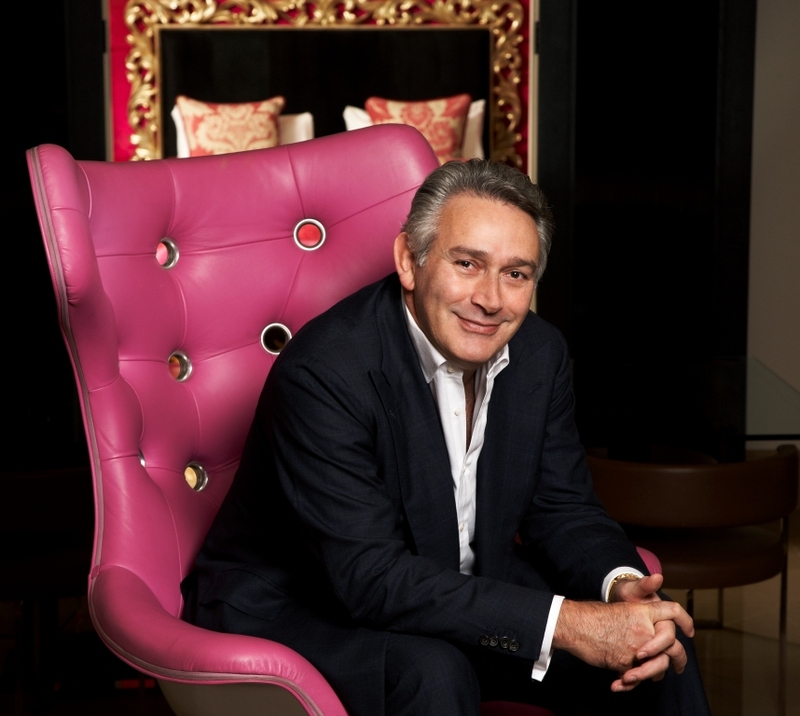 Following on from my post back on 7th October all about The May Fair Hotel in London, I wanted to bring you up to date with some exciting news from the property, with Anthony Lee appointed the new General Manager, joining the 5* London hotel from the Connaught Hotel where he had previously been for the past 30 years. The following press release has been made to Hotel Insight : “Anthony Lee has been appointed the new General Manager of the May Fair Hotel taking over from Charles Oak who has left to pursue other interests in the hotel industry five years after being a key figure in the “re-birth of an icon.” Anthony spent nearly 31 years at the Connaught Hotel, during which time he also guided the hotel through an extensive re-birth as General Manager. Nearly every day of the week there are well known figures that add colour and vibrancy to the hotel’s restaurants, bars and suites. Whether from fashion, film, music or Captains of industry, the May Fair offers its guests something unique in one of the best addresses in the world. As I approach, I notice something I’m not expecting to see. Flash, Flash, Flash. Unaware what it is I am seeing, I cross the road towards the main entrance of The May Fair Hotel and look over my shoulder. Flash, Flash, Flash. Then I realise what I am seeing, and why. I’m outside The May Fair Hotel, one of the most exclusive hotels in central London and the paps are celebrity spotting. Not me of course, but someone just leaving in a flash Jaguar XK complete with chauffeur and blacked out windows. Something told me I was about to see something rather special this afternoon. Everyone has heard of The May Fair Hotel, but it wasn’t a property I had ever been inside, let alone stayed in, so when I was invited to see the property I jumped at the chance. I should also explain how this came about, and it was another great proof point for the use of Twitter, as this was how Hotel Insight and the PR company representing The May Fair got talking in the first place. I’ll try to give you a feel for this property, but it really does sell itself. Upon entering the hotel you get a feel of what’s to come. Although the lobby is not as grand and ostentatious as you may expect, its the sheer professionalism that provides you with the grand impression. An ubandance of staff, more than I have seen in any other hotel, ready to help you with any requirement you may have. There’s so much to this hotel, I don’t know where to start, so I guess the bedrooms are as good a place as any. Whether you’re looking at luxurious, mind-blowing suites or you starting off with a Superior Room, you can expect subtle upmarket touches – the Bang and Olufsen televisions in every room, luxurious bathrooms complete with television set at the foot of the bath, iPod docking stations, and yes, my favourite thing, complimentary wi-fi throughout the hotel (regular readers of my blog understand my passion for wi-fi!). The suites are grand and unique, bigger than most people’s own home. All of the touches above are included, but it’s the state of the art black granite kitchen complete with large selection of spirits, dinning room, large Bang & Olufsen TV and decked balcony area. Entering one of these fabulous suites, your mind conjures images of those who have stepped, and stayed before you. I think one reason this property has been so popular over the years is the fact that everything you need is on site – glamorous casino, trendy bar and restaurant, gym and spa. Not to mention the state of the art conference facilities including cinema room and meeting rooms, this property has everything for business, leisure or even celebrity guest. The Spa is incredible – you must treat yourself if you get the chance – genuinely one of the most calming atmosphere’s I’ve experienced in a hotel’s spa, and the amazing stone water feature at the entrance is beautiful – check it out online. But I don’t just want to talk about how lovely the property is. The real purpose of my visit was to look at how The May Fair Hotel use social media and online marketing (which they do very well) and how they make such a unique brand stand out, in the right manner. It’s not just the social media that’s been well invested in – the website is very attractive and informative, complete with booking engine and an abundance of information. There’s even a great virtual tour facility available online so you can have a good look around the bedrooms and facilities that The May Fair has to offer. To find out more about how such a well established hotel uses online social media I spoke to Sarah Priddis from Mason Williams, The May Fair’s PR company, and asked her all about their social media experience so far. “Social media has allowed us to open the doors of The May Fair and show customers the full personality of this iconic hotel. With daily updates on platforms including Facebook, Twitter and YouTube we’re able to engage in conversation with followers who love to hear about and talk about The May Fair. We also update our blog at least three times a week so that readers can see what’s happening at the May Fair with stories coming from all levels of staff within the hotel. As well as driving extra traffic to our websites, social media has allowed us to engage with our customers and encourage repeat businesses through loyalty”. I think the key thing here is that The May Fair recognise the need to interact with their guests. It must be difficult for a hotel with such a name and reputation to embark on social media, after all, occupancies are always high and we don’t see any obvious decline in ADR that the rest of the London hotel market experienced over the last couple of years in the downturn. So, why bother with social media at all? Quite simply it’s a key requirement, no matter what type of property you have, and Sarah’s hit the nail on the head. You need to talk to customers and listen to what they are saying, it’s key to any hotel business, whether you an independent budget hotel chain, or one of the most famous five-star properties in the Capitol. All hotels have to learn to diversify their business and sticking an association or deal with key events is great publicity, and if you match your brand to the right type of event, there are so many benefits to your image. The May Fair is no exception and used its long standing association with the film industry and has cemented this role with a series of announcements in the run-up to October’s 54th BFI London Film Festival, in partnership with American Express. An agreement with the BFI sees the hotel playing host to the 16-day festival for the next two years after a successful inaugural event last year. One of the world’s leading independent film festivals – Raindance – is also to be based at the hotel in September. 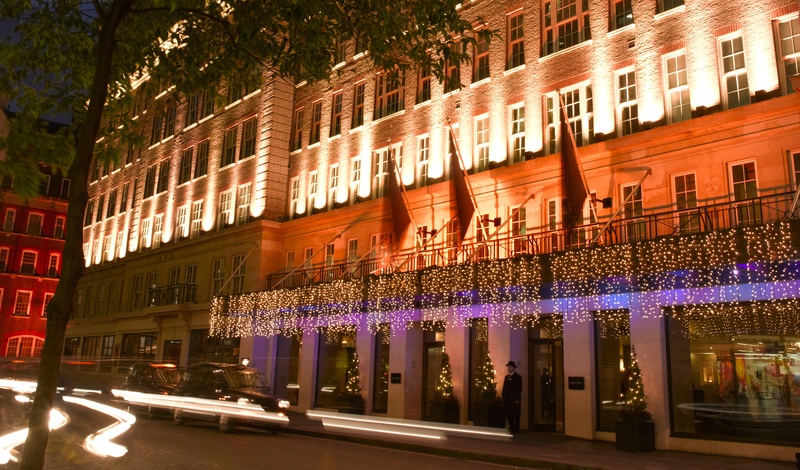 Finally the hotel has announced that it has created the post of Film Maker in Residence supporting independents to create a suite of films about life in London as well as a series of shorts based around celebrity guests at the iconic hotel. 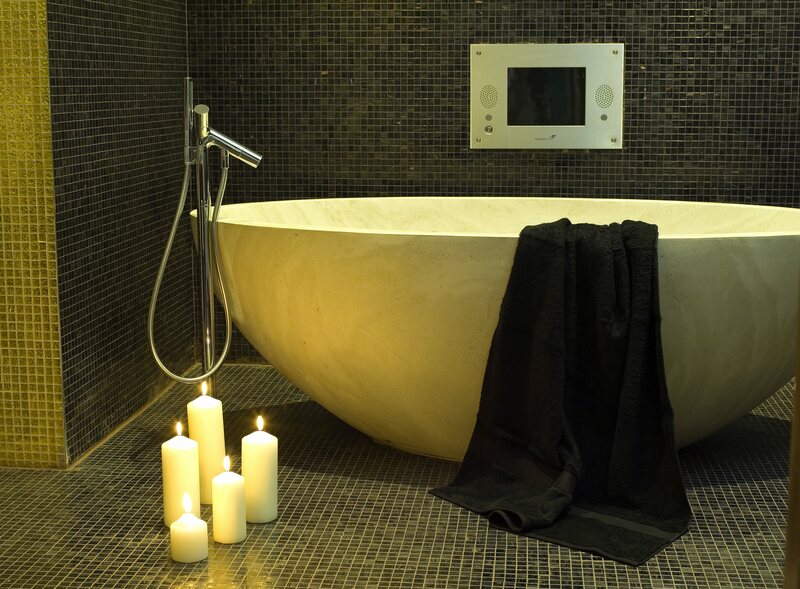 I am always interested in finding hotels offering their guests something different – Aria Hotel in Prague does just that. This hotel is unique and has worked hard to differentiate itself from the many hotels in operation in Prague. Petra Daliborová, Group Marketing & PR Manager at Aria has been speaking to Hotel Insight to explain just what makes their property so unique. Q If you could describe your property in one sentence, what would you say? Luxury music world in the heart of Prague. Q What is the mix between business and leisure guests at your property? 40% business and 60% leisure business as we are small luxury boutique hotel. Q What facilities do you offer guests that makes you stand our from you competitors at your property? At the first point it´s a music theme. Our guests when are check-in to the hotel they receive together with the key from the room the iPod with loaded 520 songs of all genres. Is dedicated to one of famous musician or composer. We offer to our guests the service of Music Director and Concierge – Dr Ivana Stehlikova has a PhD in Musicology, and is available to advise guests on current cultural and music activities in Prague. Another advantage is location – right next to the hotel there is Vrtbovska Garden where our guests have exclusive entrance directly from the hotel during the summer season. 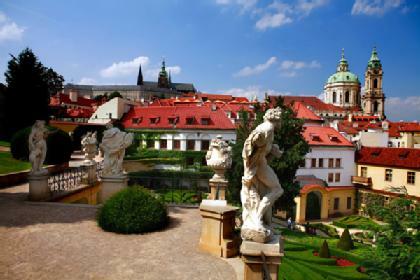 The Vrtbovska Garden is baroque garden listed on the UNESCO heritage list. Q How has 2010 been for you so far, and how do you foresee the rest of the year progressing? Even the 2010 we feel the crisis and there is a big hotel´s competition in Prague. We hope that travelers will travel more for business and the leisure and will focus more on luxury product even for higher price. Q How important are social media channels at your property? The social media are very important for us as we can communicate the latest news and photos. One of the most important channel is TripAdvisor, where can our guests read the reviews and it´s the best of recommendation. Then we are using the Facebook, Twitter and blog. We received the award by TripAdvisor “Best Luxury Hotel in the World 2009” and it was the best promotion for the hotel. Q Multimedia, especially video is becoming more and more important to market hotels – does your property make use of this medium and how important do you think this is for travellers when selecting a hotel? At this moment we are not using any video of the hotel but I think we will create one for the future. Q Have you had any famous faces staying at the property in the last couple of years? The guest book names range from Harvey Keitel, Andy Garcia, Gerard Depardieu, Morgan Freeman, James Bond Crew (Movie Director Mr. Campbell and crew), His Majesty King Norodom Sihamoni – King of Cambodia, Madeleine Albright, Rachel Weisz to singers Seal with his wife Heidi Klum, Duran Duran, Eminem´s Manager, Peter Gabriel or sport stars as Aja Vrzanova and Rubens Barichello. Thank you to Petra for talking to Hotel Insight. For more information, the hotel overview is attached below, or check out their website. If anyone has comments or feedback for Petra, please leave comments or email me. I was checking the Sheraton website today and decided to look at their news on new hotels and was staggered at the amount of new properties in the pipeline. Some have already opened this year, such as the Sheraton Brooklyn New York Hotel, Sheraton Hsinchu Taiwan, Sheraton Qiandao Lake Resort & Sheraton Hohhot Hotel in China, Sheraton Nah Trang Hotel & Spa, Sheraton Rhodes Resort, Sheraton Fuschisee-Salzberg, Sheraton Batumi Hotel and Sheraton Bratislava Hotel. 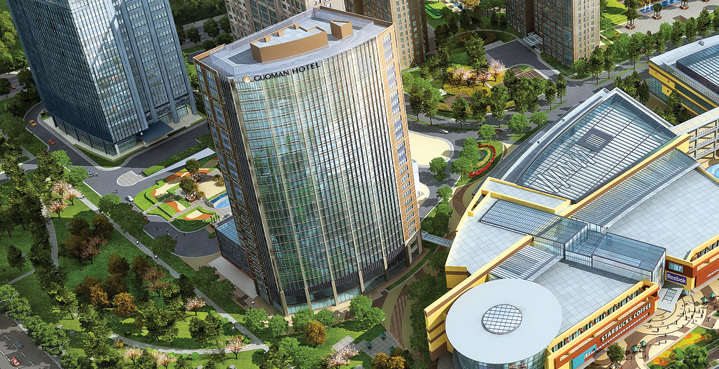 23 Sheraton’s opening across China! Guoman are a brand usually associated with London – in fact until now they have only ever had hotels in the City, to my knowledge. However, Guoman Hotels have announced the opening of the new five star Guoman Shanghai. This 442 room hotel includes two restaurants, grand ballroom, conference rooms, spa and fitness centre and 125 suites all split over 26 floors of luxury. Personally, I really love the Guoman chain, with my favorite hotel being The Cumberland accross from Marble Arch. I also love Shaghai, so add the two together and I think you may have a very tempting combination! 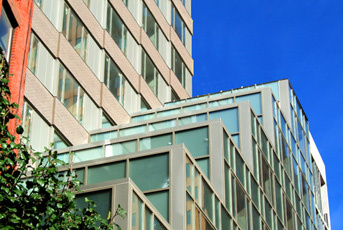 Other Guoman Hotel properties include: The Cumberland, The Royal Horseguards, The Tower and Charing Cross.